Jam Gallahue is a grade 10 student so lost in her grief over the death of her English boyfriend Reeve Maxfield that her parents decide to send her to a boarding school called The Wooden Barn, which is in rural Vermont. It is especially for very intelligent, damaged, fragile youth. Jam is selected with five other students to join a class called Special Topics in English led by an eccentric teacher Mrs Quenell (Mrs Q). This class focuses entirely on the works of Sylvia Plath’s The Bell Jar. At first the students are all shocked that knowing their circumstances Mrs Q would choose such a dark writer, but her reason becomes clear as they write in their journals twice a week. As the students start writing in their journals they are transported to another world that they have named ‘Belzhar’. Through their journal writing they can all relive the moments leading up to their trauma but not write about their future. As they start to heal through their journal writing they become a tight knit group protective of one another. One question haunts each of them: what happens when the journal is full and they can no longer visit Belzhar? A unique book aimed at fourteen to sixteen year old students who have so many issues to deal with but with no life experience to draw on. 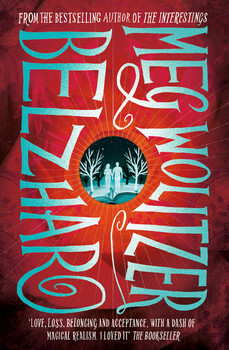 This is Meg Wolitzer’s debut teen novel that John Green fans will surely love.